The iPhone and iPod make terrific companions during chores, sports, and outdoor adventures. Having a little music or a podcast along for the ride helps improve fun times and make boring tasks a bit better. 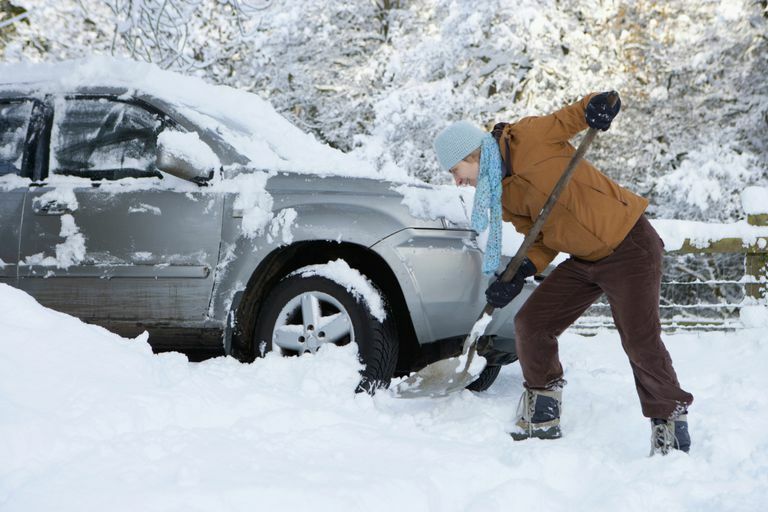 No one stops to question whether it's safe to bring an iPhone or iPod along for a run or when cleaning the house (and they shouldn't; it's fine), but what about for winter activities like shoveling snow, skiing, or snowshoeing? Apple says that iOS devices and iPods operate best in temperatures between 32 and 95 degrees Fahrenheit (0 to 35 C). Ideally, the company recommends that they are kept as close to room temperature (72 F) as possible. That’s easier said than done when you're out in winter weather and you may be heading out into temperatures much less 32 F.
Snowy days are often moist, especially if snow is melting on your body or you're working up a sweat moving around a lot. Make sure you're using a good case with comprehensive protection to keep potentially damaging moisture off your iPhone. Recent iPhone models, like the iPhone X and XS series, have waterproofing built into them that will protect them from small amounts of winter water. A good case is still important, but less so for this purpose with these models. Since an iPod or iPhone needs warmth, don’t wear it on an armband or in other exterior locations when enjoying the snow. That will leave it too exposed to cold temperatures. Try to store it as close to your warm, heat-generating body as possible. This could mean keeping it in an inner pocket of your jacket or even inside your clothes, right next to your body. As you build body heat by exercising, you'll be able to keep your device closer to its ideal temperature range. You shouldn’t run into any problems related to headphones or earbuds; use those as you normally would. You may even prefer over-ear headphones since they'll provide a little extra warmth for your ears. Despite our best intentions and precautions, sometimes our devices get wet. Whether they fall in a snowbank or get a drink spilled on them in the ski lodge, you can end up with a moisture-damaged iPhone or iPod in a split second. If your device gets wet, that's not necessarily the end of the world. In that situation, learn how to save a wet iPhone. As long as you keep your iPhone or iPod dry and warm, using it while you ski, snowboard or shovel snow ought to make fun activities even better and dreary chores a little more bearable. Should You Even Bother With iPhone Battery Replacement?